Inaki is cofounder and CEO of CoverWallet, a tech startup reinventing insurance for small businesses. Before he was cofounder and CEO of Contactive (which also operated Klink), a big data platform for telephone calls acquired by Thinkingphones (now rebranded as Fuze). Prior to that he was cofounder and CEO of Pixable, a consumer internet startup acquired for $30MM by SingTel, the second largest telco in the world. 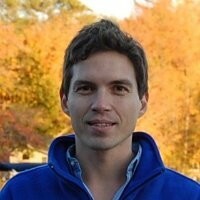 He has also worked at Microsoft Corporate Strategy and 2 years at McKinsey&Co. And as an research engineer at Intel, NEC Labs America, STMicroelectronics and HP. He is also an angel investor in ~25 startups, such as Scaphold, Peertransfer, Impraise, Geoblink, Cabify, Ducksboard, Zero2Infinity, MosaicBiomedicals, HelloEave, Clicars, or Lytmus.io. Inaki completed a Telecom Engineering degree from UPV, Master and PhD degrees in Engineering at Cambridge University (UK), an MBA at MIT, was a postdoctoral research fellow of the Cambridge-MIT Institute, and spent 2 years as a Fulbright Scholar at Columbia University.